The sun shines brightly in an azure sky laced with fluffy white clouds. 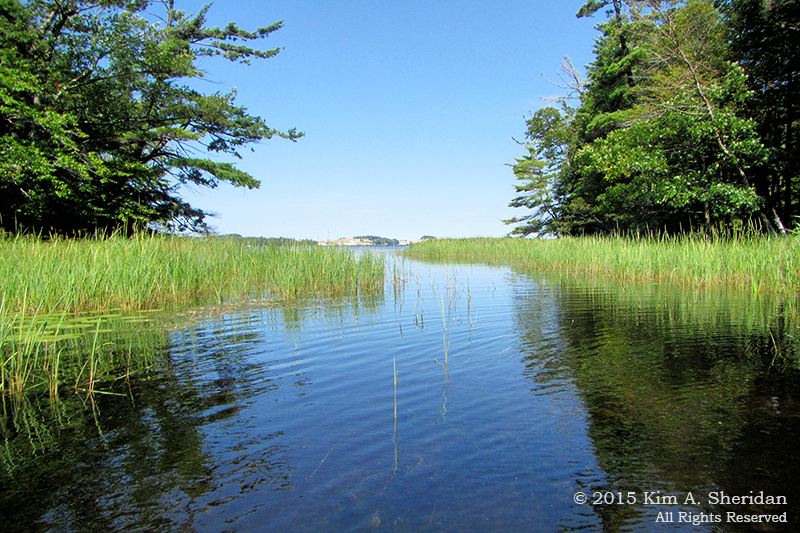 All is quiet but for the fading voices ashore and the rhythm of the paddle. Dip, swish, drip, drip; dip, swish, drip, drip. 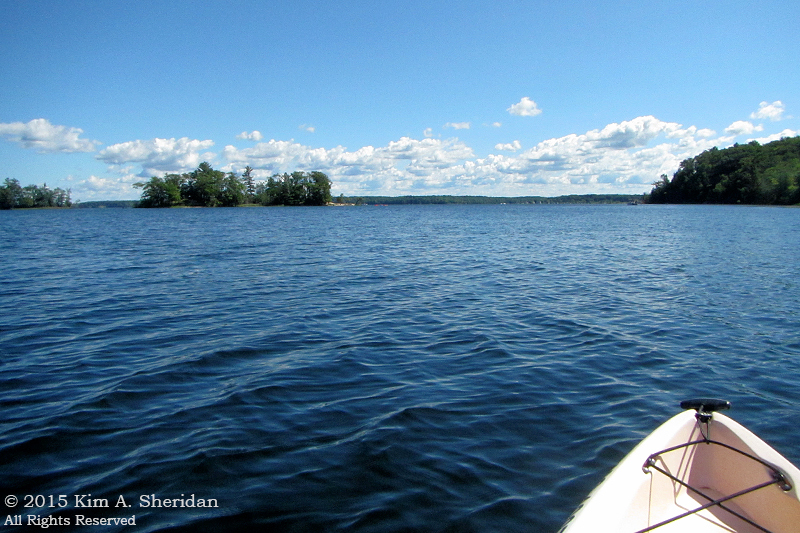 The kayak glides effortlessly across the deep blue of Hamlin Lake toward an island of rich greenery and white sands. A cool breeze brushes warm skin and paints ripples on the canvas of the water. 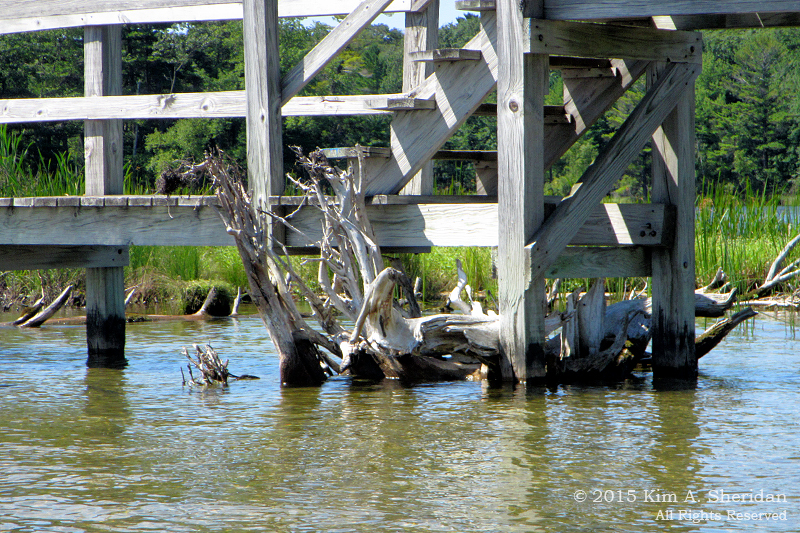 At the small island’s tip, driftwood and old pilings bleach in the sun while a single tree keeps watch. A kayak rests on the shore, awaiting the return of its paddlers from an exploration of the island’s wild interior. 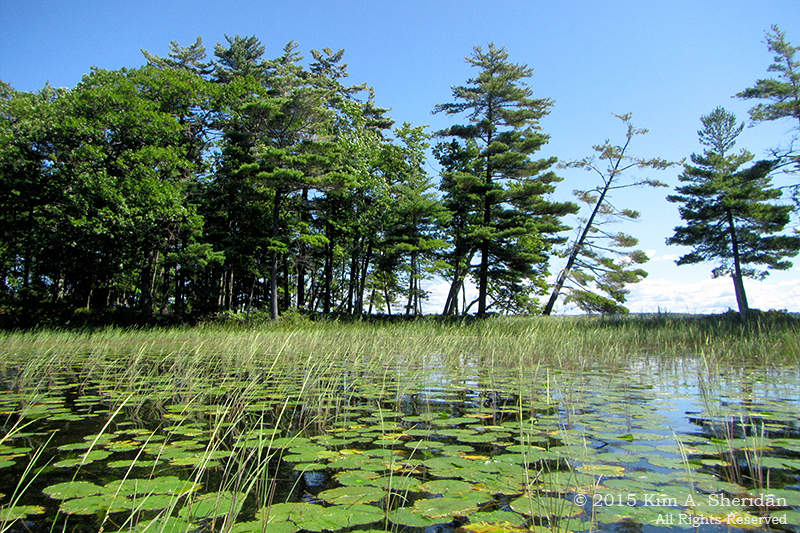 Across Hamlin Lake lies the inviting inlet of the much smaller Lost Lake. A spit of land barely ten feet wide separates the two lakes. The Lost Lake Trail spans the inlet on an elevated walkway. Underneath, an uprooted stump has wedged itself under the bridge. This is the land of drowned forests, cut down and buried under water in the name of progress. Progress complete, the lakes are now a place for play. Lost Lake is serene, and the water amazingly clear. 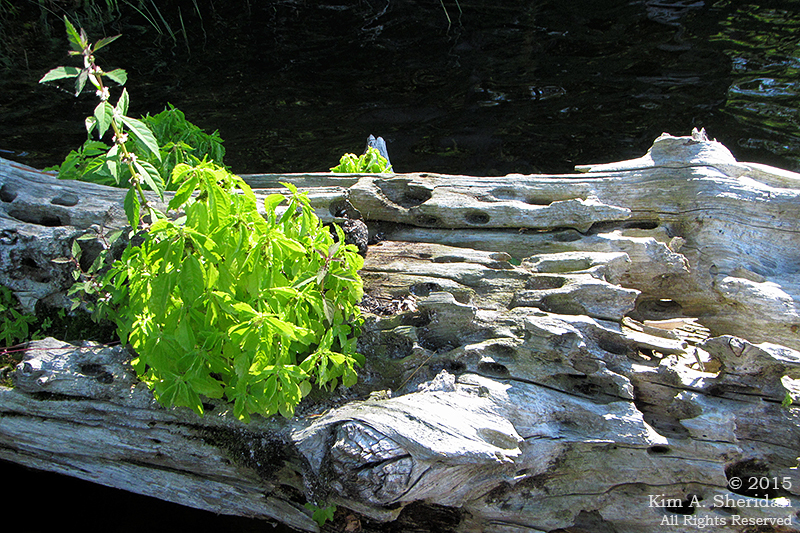 Every tree stump and aquatic plant can be seen with clarity. The coves offer a sheltered place for water lilies and sedges to grow. 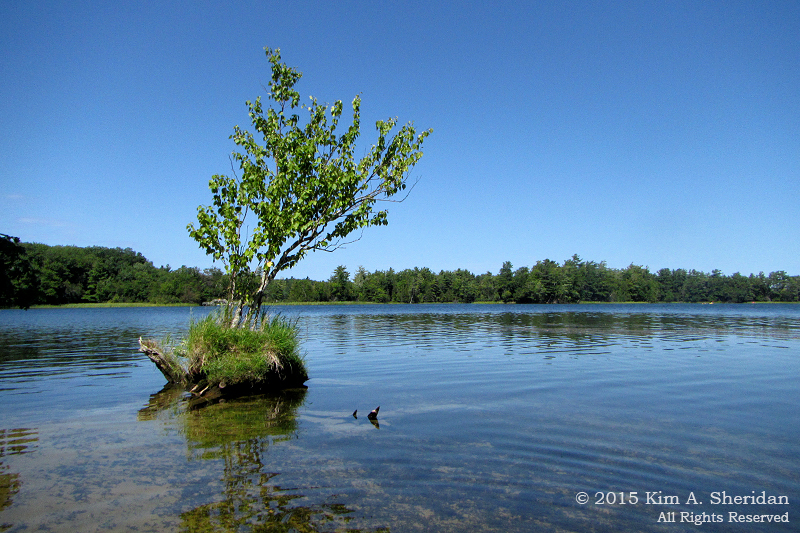 On the isthmus, a tree leans at a precarious angle. 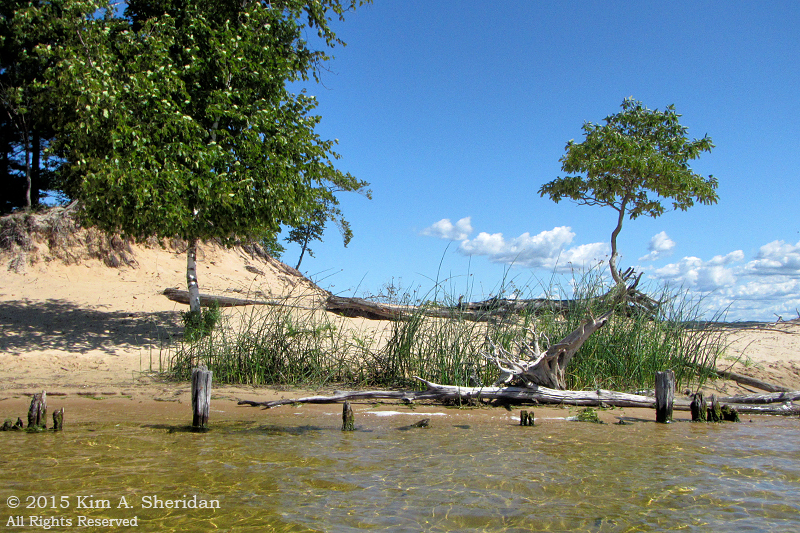 The peacefulness of a summer’s day is deceptive; the Lake Michigan coast is a harsh environment, and whipping winter winds take their toll on trees clinging to the water’s edge. 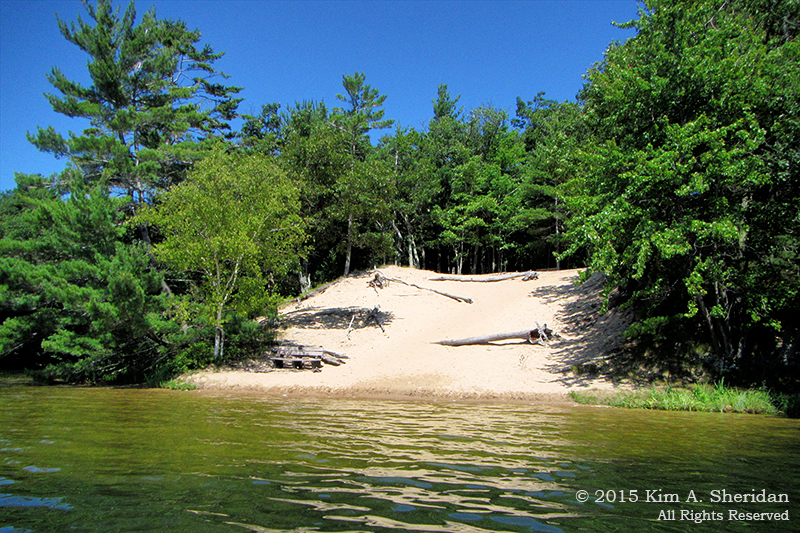 A towering sand dune offers a place to stop, rest and explore. 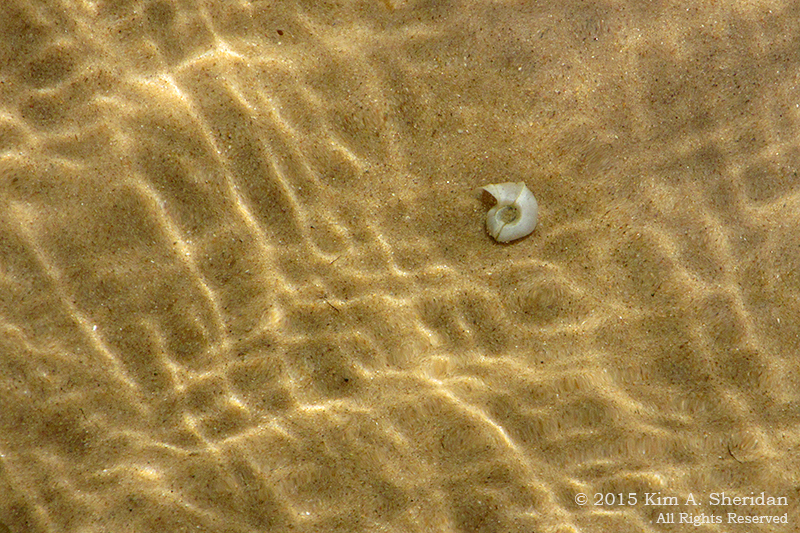 If snails would seek sanctuary from predators, they will not find it here. 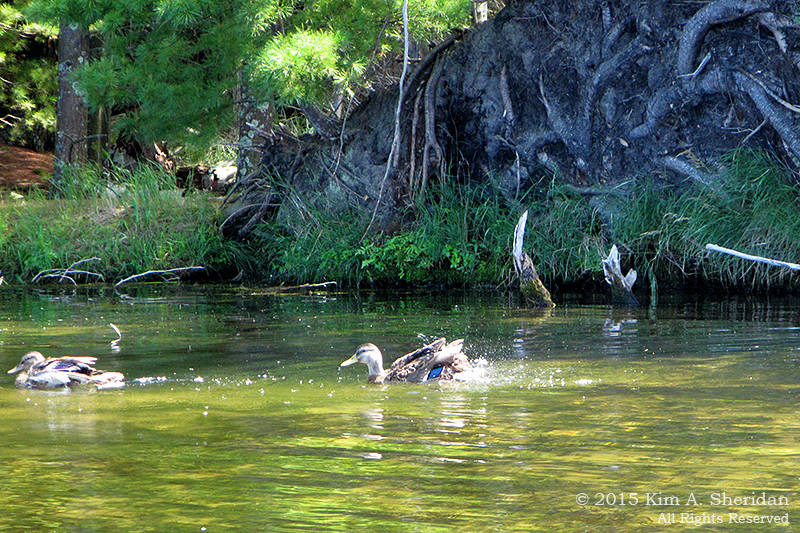 The shallows of Lost Lake offer no hiding place. 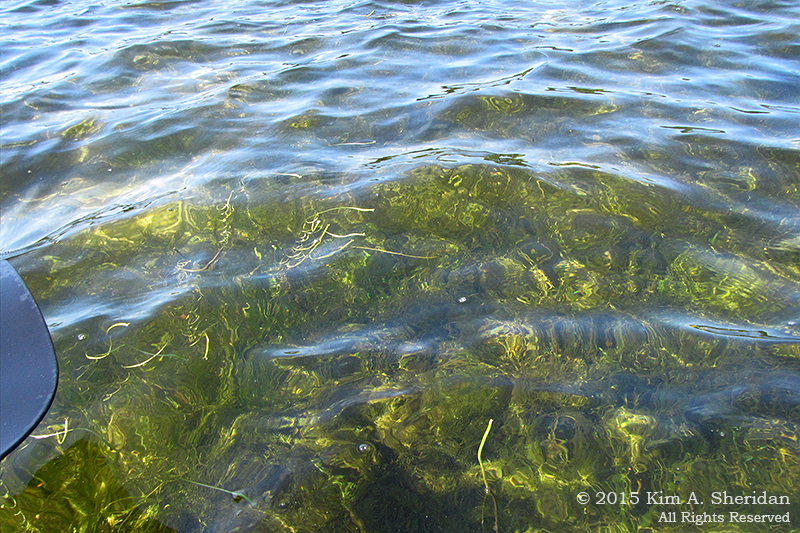 Yet again, the crystal clear water astounds. 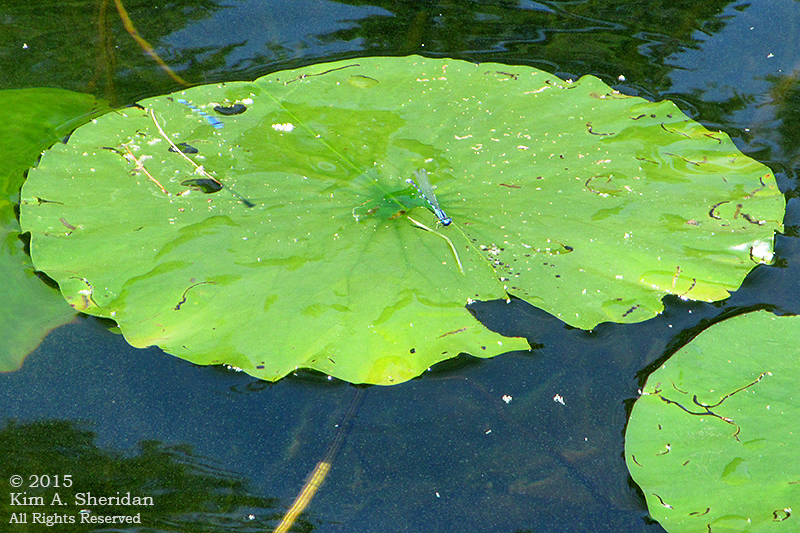 A pair of damselflies patrols over a field of water lilies. 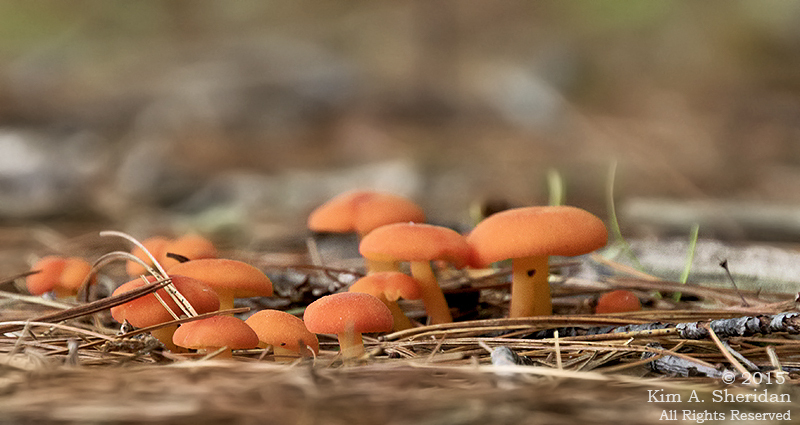 Wee mushrooms loom large over moss and pine needles, a landscape in miniature on the forest floor. 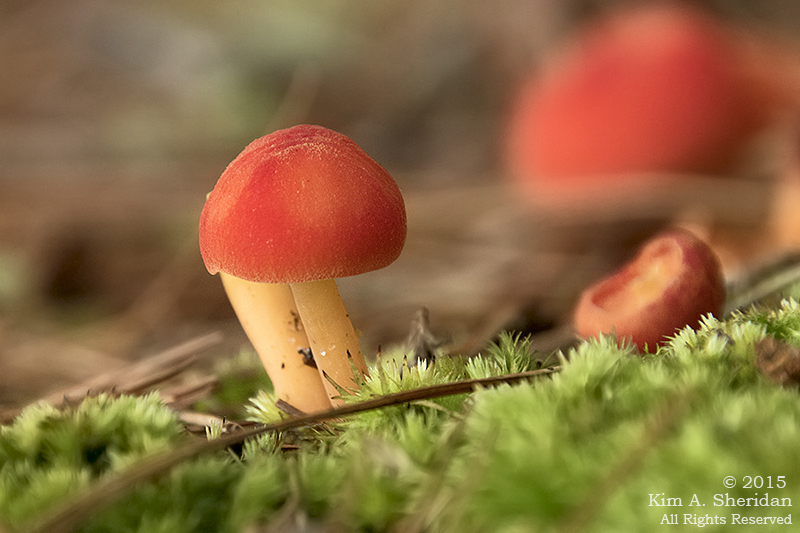 Tiny treasures such as this captivate the imagination and tempt the soul to linger. But nearby the narrow entrance to a small cove beckons, dark and mysterious. At its mouth, a fallen log has been eaten away by time like Swiss cheese. In one nook, new life has taken root. Nothing is so tenacious as a plant. It takes but a tiny bit of soil, tucked in a crevice of an old tree stump, for a new tree to sprout and grow. Water, soil, light. What more could a tree wish? 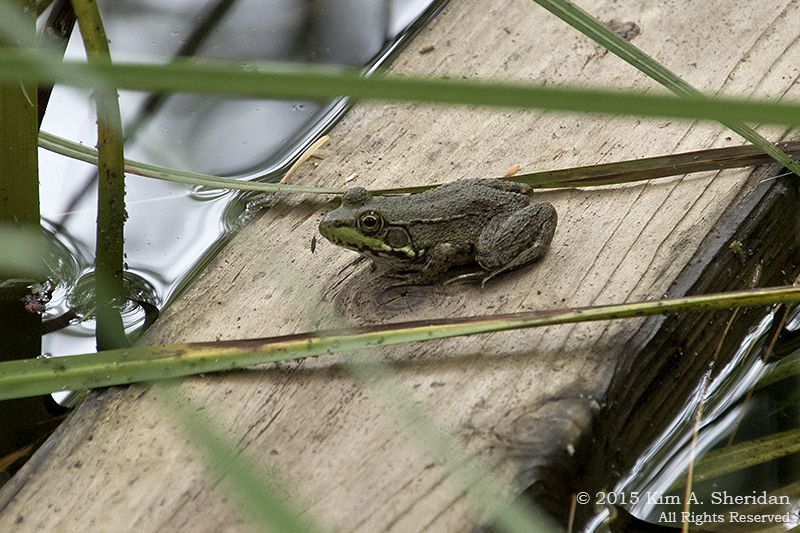 …while a green frog idles in the shade. 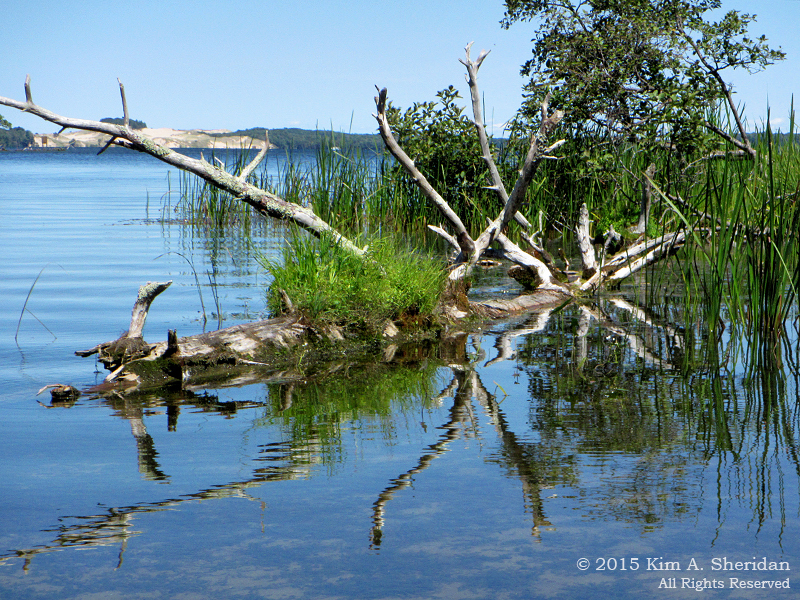 An intricate entwining of twisted white limbs adorned with greenery graces the shore. Tree sculpture is but one form of Nature’s artwork. All too soon, fierce winter will intrude upon peaceful meditations of summer. When it comes, find sanctuary in dreams of sheltered coves and sand beaches. The dip, swish, drip, drip of the paddle. The plants swaying sinuously beneath the clear water, the sparkle of the sun on the surface, the sand and the trees reflected there. 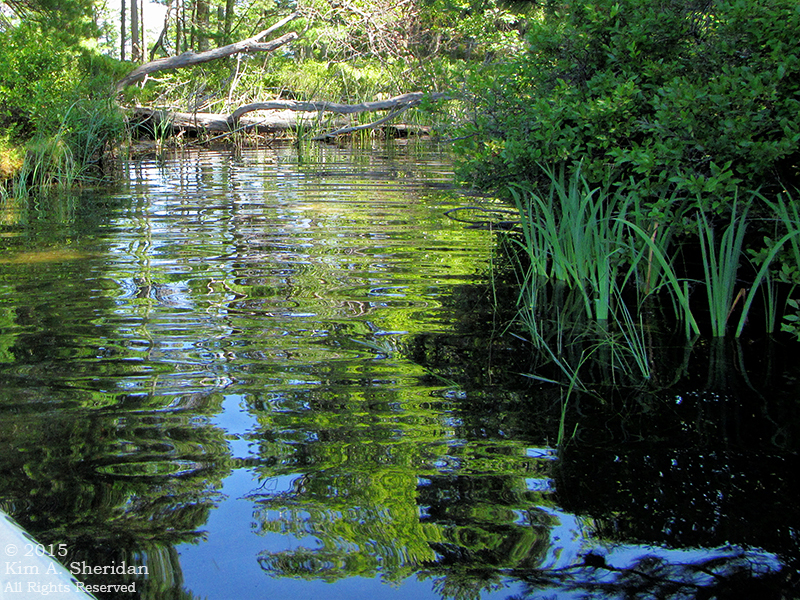 Savor the moments spent lost in reverie… on the lost lakes. 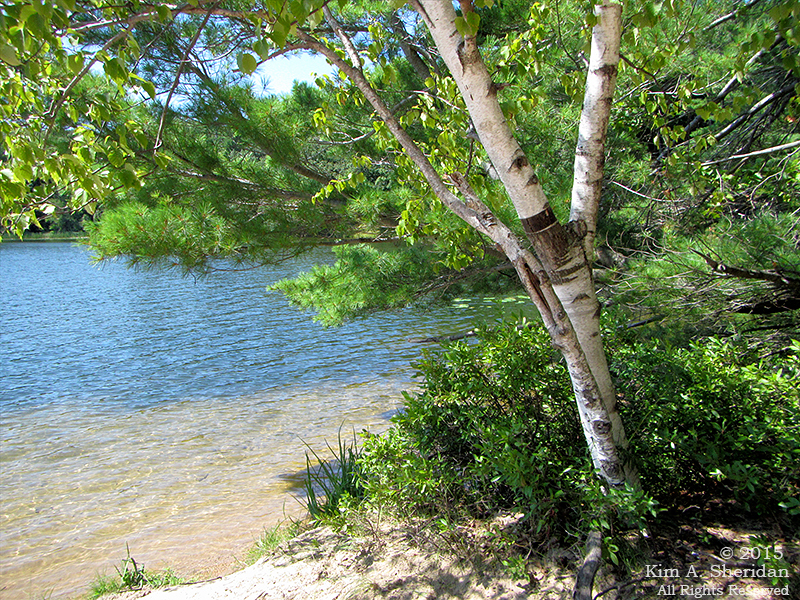 This entry was posted in Kayaking, Michigan, Nature and tagged Flowers Trees & Shrubs, Kayaking, Ludington State Park, Michigan, Nature, Wildlife by Kim. Bookmark the permalink.